Mix dry ingredients with shortening and ice water. Do not over mix. Keep hands and all ingredients ‘cold’ so you do not break down the shortening and the crust will be flaky. Roll out to size of pie pan. 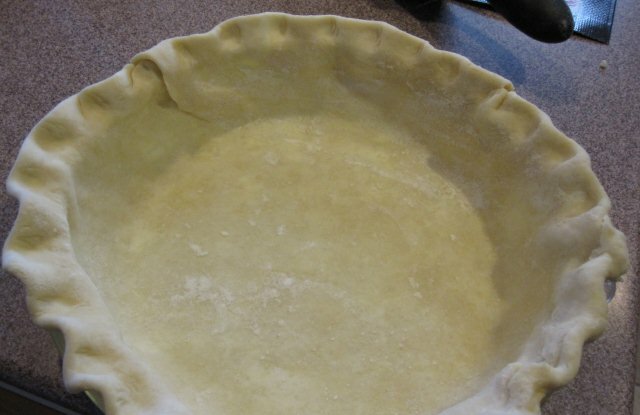 (If necessary, sprinkle surface with flour to keep crust from sticking to surface.) We always used two pieces of waxed paper, one for bottom of crust and one on top. Roll out, pull off top sheet, lift the other sheet and flip over into pie pan, then peel off bottom wax paper sheet. You can pinch edge around outer rim to make a finished edge or press with the back of a fork. 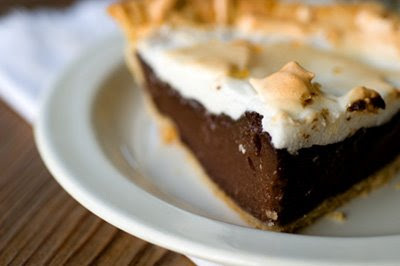 Prick bottom and sides of crust with a fork to keep it from getting air bubbles when it bakes; brush egg white over entire surface with pastry brush. Bake in over @ 350 degrees until light brown. In a small bowl, beat egg whites with mixer at high speed until foamy. Add salt and vanilla. Gradually add in sugar as you continue to beat until it forms soft ‘peaks’. 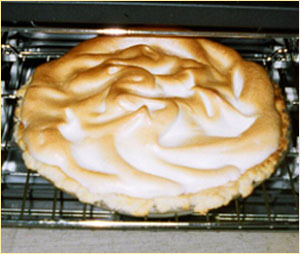 Spread meringue evenly over pie filling, sealing to edge of crust. Bake in oven (keep watch) until ‘peaks’ are golden brown. Set aside on cooling racks. (Again, do not put in fridge at this point or your pie will ‘sweat’. In double boiler on top of stove slowly bring milk to a boil. Mix flour, sugar, cocoa and salt in a separate bowl. Cream eggs in flour mixture. Pour milk in flour mixture, return mixture to double boiler and stir. Stir continuously on low heat until mixture begins to bubble and is thick. Add butter and vanilla. When well mixed pour into pie shell. Let cool and top with meringue. 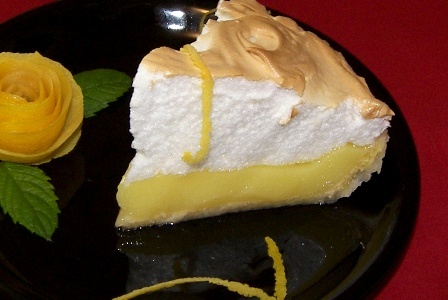 Follow meringue recipe for finishing pie.